The character-driven exploration and survival game will be launching on PC, PS4 and Xbox One. Remember the good old times when video didn't spoon-feed you the next objective or checkpoint? Although you’d get lost several times, it was part of the experience that made the game more fun and immersive. There is a certain joy in getting lost and putting your memory to the test. Obvious directions and a minimap aren't necessarily a bad thing, but the thrill of not knowing where you are can certainly make for a fun gaming experience. 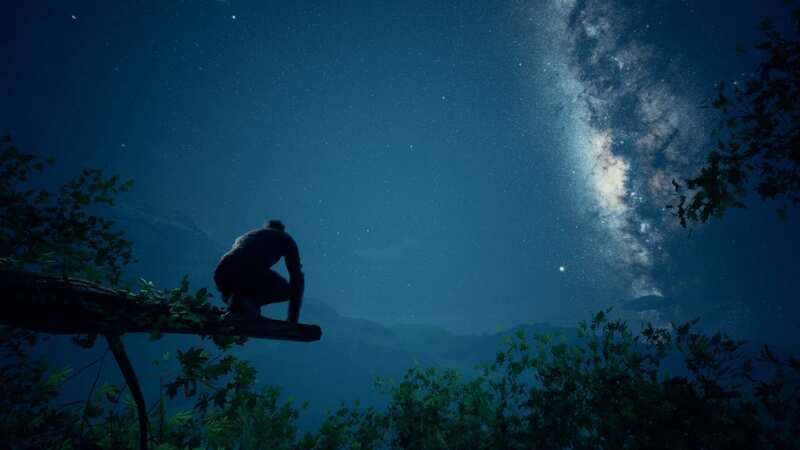 Ancestors: The Humankind Odyssey is one such upcoming game from Assassin’s Creed creator Patrice Désilets. His independent studio Panache Digital Games, which he co-founded back in 2014, includes many bright minds from the gaming industry. First teased back at E3 in 2015, several pre-alpha videos were released over the years. The latest gameplay footage shows more about the exploration and survival aspect in Africa, 10 million years ago with Patrice himself talking about the game. Set in an open world, you will be playing as a primate and following a ‘Daily regimen’ of eating, drinking and sleeping every day. If you fail, it will start affecting your health. You have to be cautious enough to not eat everything since some of the food you discover could be poisonous. While you’re exploring and searching for food, you will also come across predators who won’t spare you and instantly attack. If you’re lucky enough, another predator could cross paths with you and attack the other predator, allowing you to make an escape. Your ultimate objective in the game is to build a clan and maintain order among them. As you grow in terms of clan and territory, you will gain new abilities. These abilities will be passed down to the next generations, resulting in the evolution of the human species. With exploration being touted as one of the highlights of the game without any dependency on a map, I’m looking forward to playing Ancestors. Considering Patrice’s experience with the Assassin’s Creed franchise, I’m hopeful that we’ll be getting an unconventional and memorable game. There isn’t an actual release date but Ancestors: The Humankind Odyssey is coming out this year itself on PC, PS4 and Xbox One. It’s yet another Epic Games Store exclusive since the footage doesn’t feature the Steam logo. However, there’s a Steam page of Ancestors with a release date of 2020 that could indicate it’s a limited time exclusive.